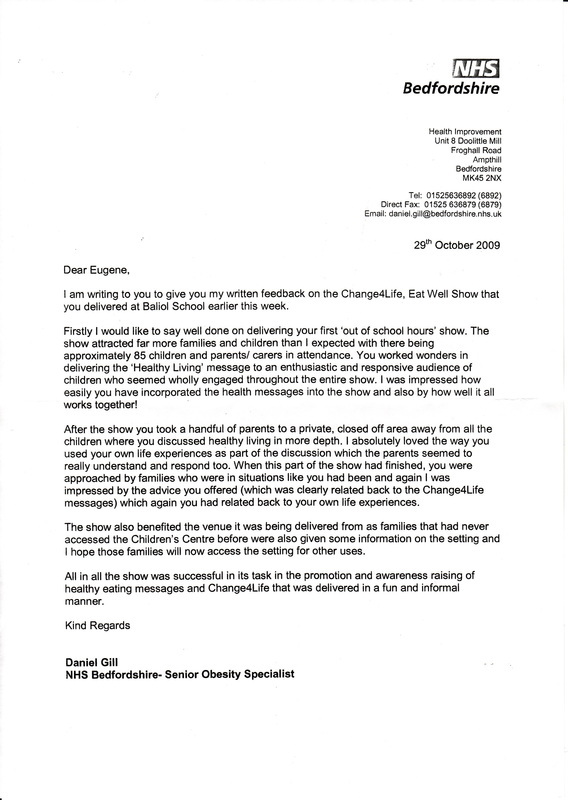 The Healthy Living educational show was developed in conjunction with NHS Bedfordshire, Healthy Schools, Extended Schools Services, Obesity Team & School Dietetic Services to introduce the 'Change4Life' government initiative. 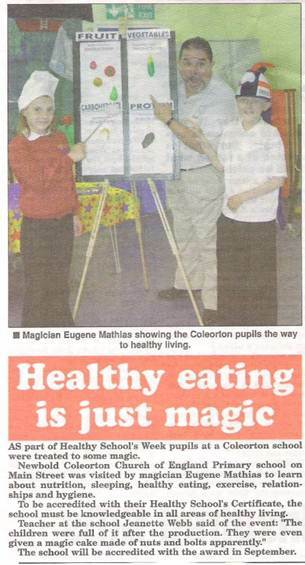 The Healthy Living magic show was developed in conjunction with NHS Bedfordshire, Healthy Schools, Extended Schools Services, Obesity Team & School Dietetic Services to introduce the 'Change4Life' government initiative. 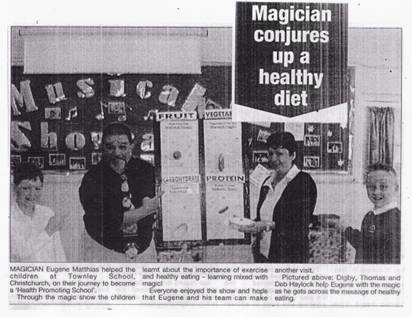 Healthy Living Magic Show - lots of fun and laughter. Science demonstration showing the amount of fat there is in crisps. How much sugar there is in fizzy drinks. The messages in the show are linked together with lot's of fun and laughter and audience participation. The programme has been designed to align and extend existing activities that relate to diet with the NEW Change4Life initiative. 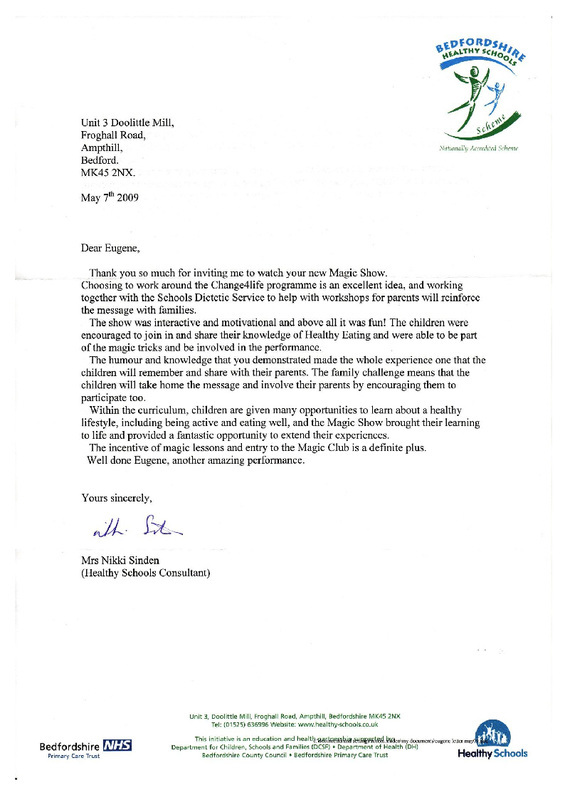 All our shows / workshops are designed for Key Stage 1 & 2 performances. 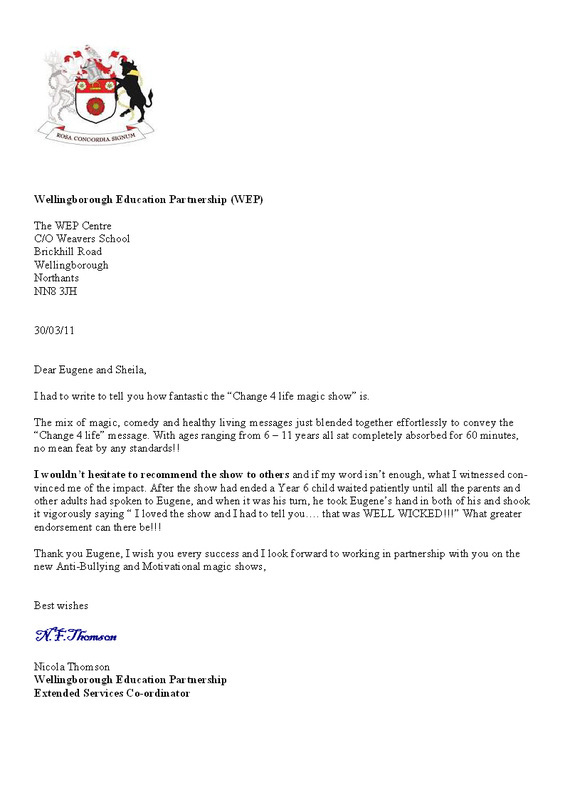 Some school run their own activities, when booking please let us know if you want the support pack? See what they say in the press.